Don’t you love how much sharing happens in education? I know there are still instances where teachers like to guard their resources and ideas but I like to think the culture is changing. Most teachers are happy to give and take. 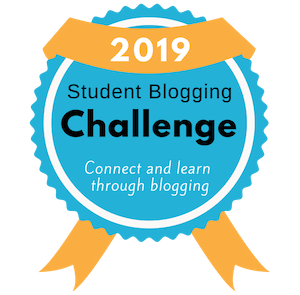 The awesome thing about this is sharing is no longer restricted to the handful of educators who teach a similar class in your school or district. It’s easier than ever to connect with others from all around the world and you never know what gems you’ll stumble across. This week I received an email from Noah King who is about 13,000 kilometres away in Northern California. 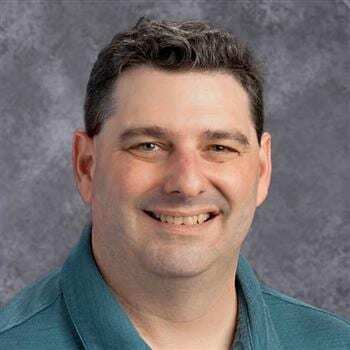 Noah is an instructional technology coach and is part of a team of four teachers on special assignment. Their role is to support all of the elementary school teachers in their district and they call themselves the UNITE Team. UNITE stands for “Utilizing New and Innovative Technology in Education” Nice! You can check out their website here. One of the fifth grade teachers Noah works with asked if he could model a lesson on strengthening internet search skills. Noah stumbled across my post on teaching internet research skills. Haven’t seen it? You can check it out here or I can email you a copy of a PDF version I put together. Just enter your details here. 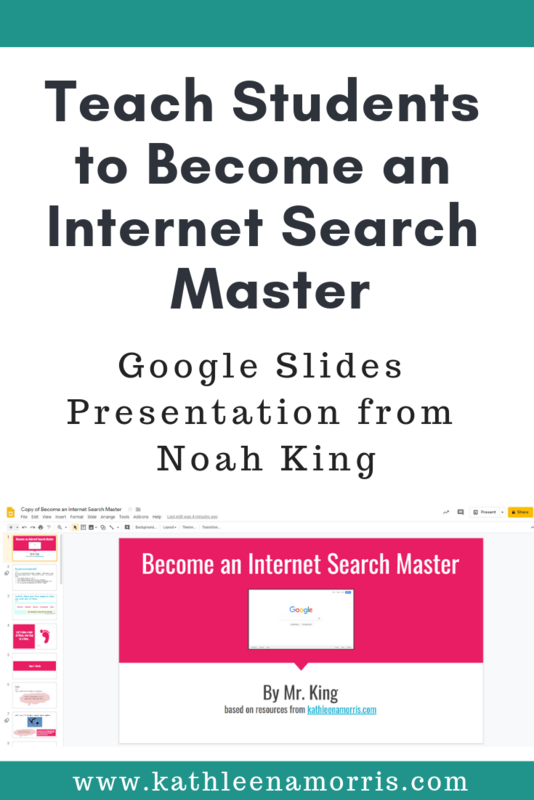 Rather than reinventing the wheel, Noah created a Google Slides presentation that works through the 5 steps I outlined in my post. It includes some great examples and elaborations. Noah kindly allowed me to share the presentation here to help other teachers cover this important topic in their own classrooms. It was designed for students around 10-11 years old but I think it could easily be adapted for different age groups. You’re welcome to save a copy of the presentation to your own Google Drive. Please keep the attribution in place on your own copy. That is, it should say that it was created by Noah King based on resources from me, Kathleen Morris. 1) Click on this link to access the presentation on the web. 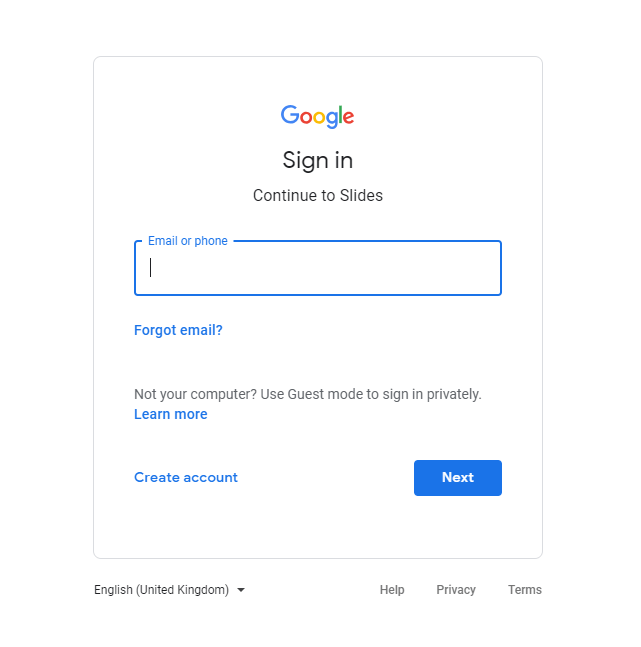 2) If you’re not logged in to your Google Account, you’ll be prompted to enter your details. 3) You’ll then need to click on “Make a copy”. 4) Your copy of the presentation will open in your Google Drive. You can change the title and tweak it to meet the needs of your own students. There are many reasons why sharing with teachers near and far is a good idea. Obviously, it can save us time. No matter where you live in the world, if you’re a teacher, there’s no doubt you’re a busy person! I also like the idea of being a role model for students. Explicitly tell them that you got a resource from someone in your PLN (professional/personal learning network). We want students to know that positive digital communities exist and they can be part of a global network one day too (if they’re not already). Using borrowed resources is also a great opportunity to authentically discuss copyright, attribution, and the ethics behind using others’ work with permission. I hope Noah’s presentation is useful to you or someone you know. Leave a comment and let us know! Scroll down to find the comment box. If you haven’t already signed up for my newsletter, maybe you’d like to? Around twice a month, I showcase the blog posts I’ve written and also share other useful links, tips, or resources I’ve come across. 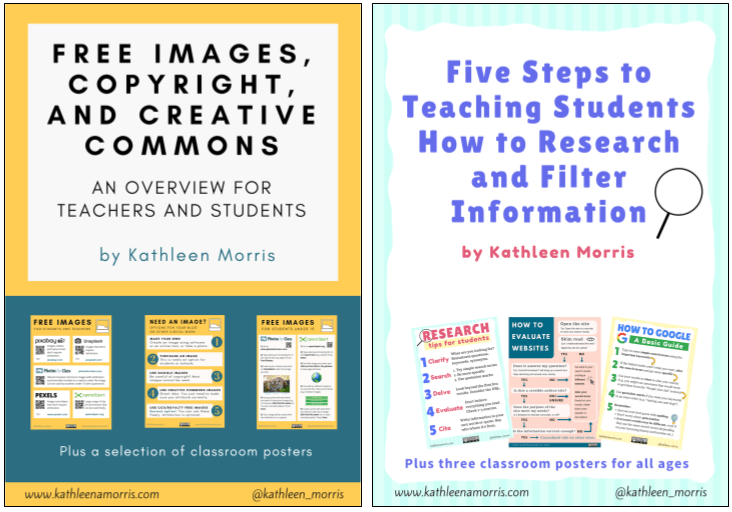 When you sign up, you’ll get instant access to my free eBook that delves deeper into the process of teaching students how to research. 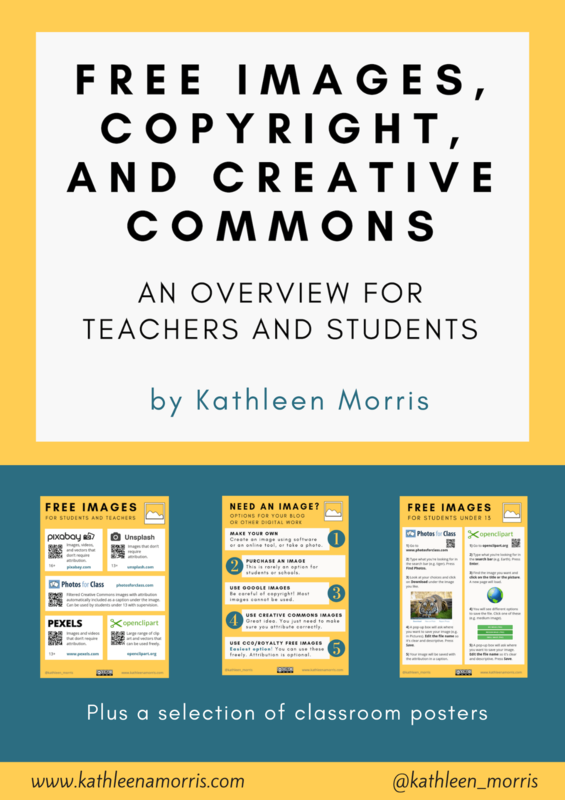 You’ll also receive my second eBook that simplifies the topic of free images, copyright, and Creative Commons. Thank you so much for sharing this resource. I am really looking forward to building information and research skills with my Year 5 and 6 classes.